Drones are not just for flying and shooting pictures. More and more people are finding out drone fishing is incredibly exciting because it allows something few have ever seen or managed to do before. Most people don't think you can fish with drones. However, with the right drone, you can scout for fish from the air, drop bait and lures right into the middle of a school and watch the fight from strike all the way to the boat from the air. Drone fishing comes into its own when fishing for schooling fish that are also easily spooked. Schooling fish are used to the sight of birds overhead diving down to eat baitfish at the surface, so a drone won't be a problem. Use the drone to drop a lure or baited hook close to the fish. Dropping a line is easy. Use a line clip or downrigger clip. Line clips are found on downriggers and outriggers. It is an inexpensive and very effective way to rig your drone for fishing. Visit the British Conger Club for a schematic of a line clip. The clip holds the line until a fish strikes. The strike releases the line. When rigging a clip on a drone, just pull the line taut either by reeling in slack or flying the drone out just a bit farther. Jerk the pole like you are setting a hook. The line pops free. The lure drops. This should not spook schooling and feeding fish as it is just like a baitfish leaping into the air and falling back to the surface. Taylor Bros Adventure recently went after giant trevally with a drone and line clip. The results are amazing. The guys held the drone over the fish so you can get a bird's eye view of the attack on the lure. Use one of these fishing accessories on your device and you now have one of the top fishing drone on the plant. Many factors and features come into play when looking for the best fishing drone. Having the right fishing drone setup could help you from losing that prize-winning fish or you ending up in one of those "drone fishing gone wrong videos". Some fishermen are looking for an underwater drone for fishing, while others are just looking for an awesome fishing drone for sale at a reasonable price. The fishing drones buyers guide below will help you sort which device to to take to your favorite fishing spot. With right drone features, such as key return to home feature, autonomous flight modes, obstacle avoidance and good drone battery life you can drop your bait and fish with drones successfully. This drone is eye-catching bright orange. On a bright day, a white drone can easily be lost to view. Sure, hit the "home" button and it will come back to the boat, but the idea is to fish. The bright orange color makes it harder to lose your drone at your top fishing spot. The drone needs to go where the fish are and you need to know where it is in relation to the fish. Splash Drone 3 comes equipped with a drone fishing line release. We like this feature because it means the drone is already rate-weighted for the release. The drone fishing release mechanism really doesn't weigh much, but even an ounce matters when talking about devices this size. The pin release mechanism also means your line is not pinched by a line clip. 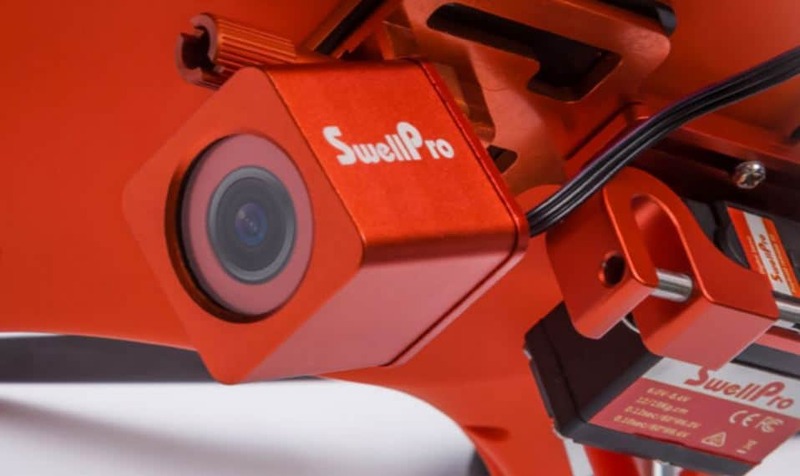 Manufacturer Swellpro encased the drone in a waterproof housing. It floats. This is our favorite feature of the Splash Drone Three. You can drop your lines and bait and let the drone settle on the surface. Because it floats, it can also function as a giant cork. As Swellpro says, "don't panic even if it is pulled down into the water by a giant tuna or a great shark, it will return to the surface." It works in the rain too of course! Having a waterproof drone makes the swellpro splash drone one of the ultimate fishing drones. Flight time is one place the Splash Drone 3 needs some improvement. It has 20 minutes flight time. Other drones can stay aloft for as long as 40 minutes. If all you are doing is running out a line to drop it, 20 minutes is enough. You should be able to make a bunch of "casts" from the beach or a pond bank in that amount of time. This device has a maximum range of about 1.4 km and a max speed of 16m/s. The Splash Drone 3 release can also hold a string of line clips and you can drop your bait right over your favorite fishing spot. The Splash Drone 3 controller has an integral screen. Two joysticks, one for each thumb, control the device. Swellpro says you can get up to speed on this one in a hurry and they are correct. It uses 25 lipo batteries. The bottom camera makes this a great underwater drone for fishing. Tilt it to watch the fish. What you see​ may be extremely surprising! I like to have several lines in the water when I am catfishing. This drone lets me drop as many as I want to handle at one time. If you like to do the same, this is the drone for you. It works well under other fishing conditions too. This is the best fishing drone for sale for a beginner. What’s the bottom line on the Spash Drone 3 Fishermen? This drone was built with just about everything you could ask for in a fishing drone and will survive the sometimes harsh fishing environments it may encounter. We recommend this drone for the fishing enthusiast who wants to take their fishing to the next level. The payload release mechanisms, operating range and that fact that is is a waterproof drone makes it one of the ultimate fishing drones. We hope this Splash Drone 3 Fisherman Review has helped you learn more about what this drone has to offer you as a fishermen. Get more information on the Splash Drone 3 Fishermen here! The Aguadrone comes with quick-replace "pods" to change what it can do. The "fish pod" allows you to drop your lure or bait right where the fish are. The Aguadrone is fully waterproof. Initial testing was done in salt water. The Aguadrone offers 14 to 18 minutes flight time, Plenty of time to make several "casts." Changing the batteries requires a bit of effort and time. Distance needs to be line-of-sight to use the "pods." ​Aguadrone carries up to two pounds. Some videos show it carrying a self-inflating floatation vest. Two pounds means it will carry out several lines at once. Just rig it in a series as I explain in the Splash Drone 3 review. 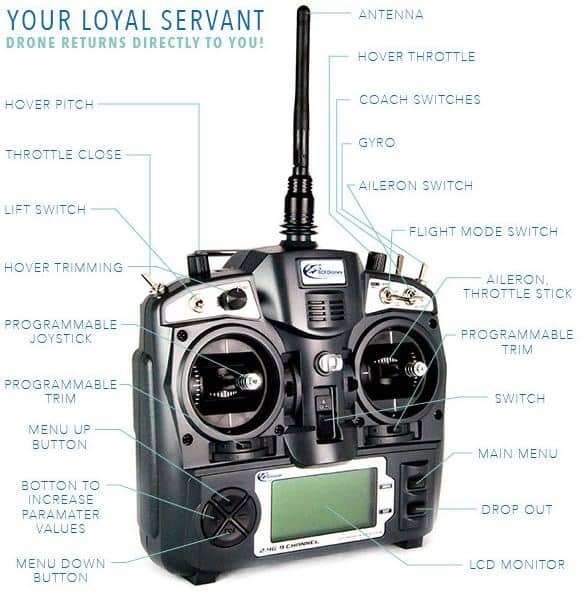 The Aguadrone controller has two joysticks to operate it. Connect a smartphone or tablet for a screen to get a drone's eye view with the camera pod. The unit only works with Apple or Android products. The controller uses AA batteries. The Aguadrone comes with quick-change pods. You can swap these out on the water in a matter of seconds. • Sonar. Can't find fish because the water is too murky? Clip on the sonar and watch your smartphone or tablet screen become a fish finder. No need to be in a boat! Your phone does need WiFi capabilities for this to work. The sonar penetrates two to 120 feet and can send a signal from 300 feet away. • Fish. The fish pod carries your lure or bait. Get in position and drop the line.It has plenty of range to get beyond the surf zone. Because this is a drone, you can run out and circle back around to get to hard-to-reach places. • Camera. Get the line in the water where the fish are. If the fish give you time, bring the drone back and connect the waterproof camera. Run it back out and watch what happens. You are limited to 60 feet of transmission distance, but the camera comes with an SD slot. Record hours of video and watch later. The lithium battery is good for up to three hours of recording. Drop the drone on the surface, shut it down and record. When you are done, restart and bring it back in. S﻿﻿﻿﻿﻿﻿﻿﻿ee the Augadrone iin action here﻿﻿﻿﻿﻿. ​What’s the bottom line on the Aguadrone fishing drone? This is a device for a more experienced drone user. 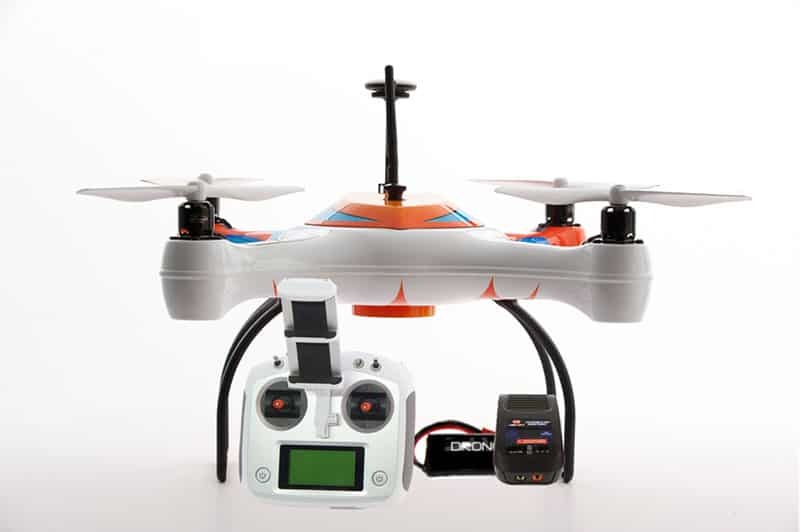 To get more experience or tips flying drones check out our Ultimate on Flying Quadcopters. For one thing, it requires a smartphone or tablet for maximum use. If you don't have a smartphone or table you may want to pass on this drone. If the thought of using your phone or table while out on the water makes you nervous you also may want to pass or loo​k for water proof cases for your devices. 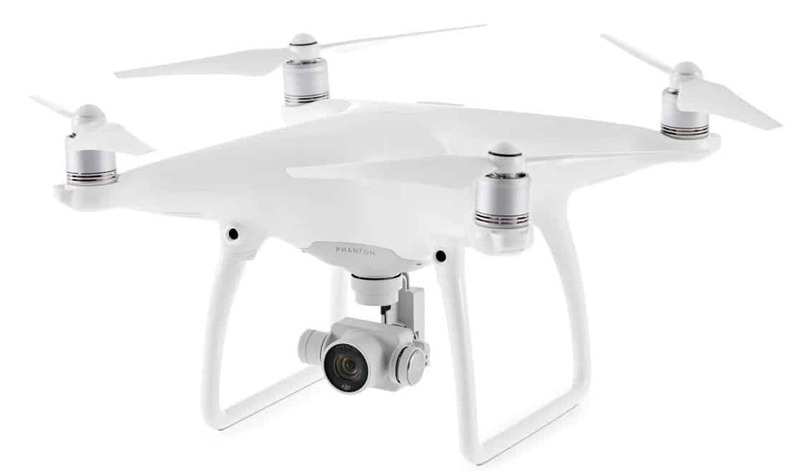 The Phantom 4 series of drones by DJI were not specifically designed to be used as fishing drones. They can be converted easily to a fishing drone with a drone fishing kit. This is great for people who already have a phantom 4 drone and do not want to be a second drone specifically for fishing. ​Keep mind these drones are NOT waterproof so one wrong move and your fishing trip could get very expensive. We certainly don't want see you in any of the drone fishing videos that end in disaster. FLiFLi has a release mechanism designed for the Phantom 4. It is available here at Amazon. 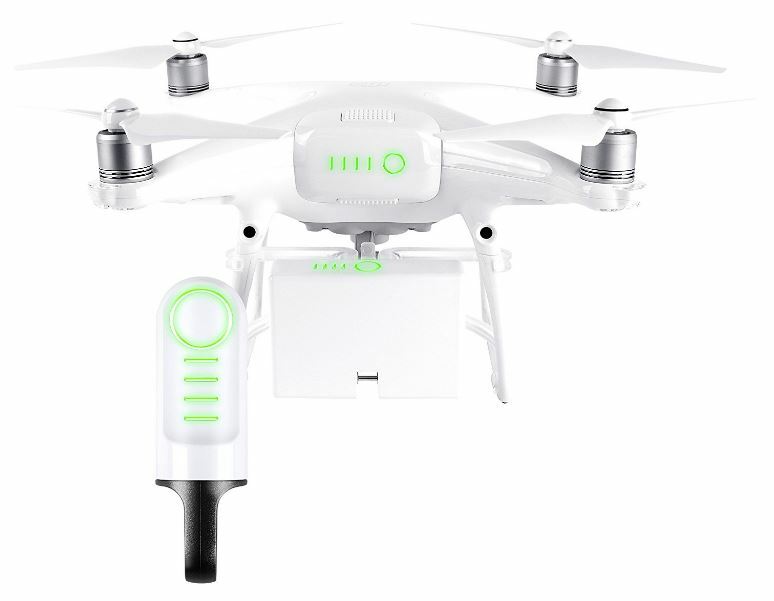 The advantage here is this is a quick clip-on device that you can attach to your drone. It does not interfere with the drone's ability to fly. The box does eliminate part of the viewing area with a camera. It that happens, just rotate the drone slightly. The FLiFLi drop has a bit over a half-mile range which should be plenty of distance. Going longer runs into the problem of what the fishing gear can handle. Monofilament, the most common fishing line, stretches. The more line out means more stretch when setting the hook. For really long distance, braids and superbraids are the best choices, but these also hold water and add weight for repeated "casts." The Phantom 4 is not waterproof. Do not fly it in the rain. Floatation devices have to be added to the runners to make it float.It is in a white case, but with care, it can be painted to a new color. Adding contrasting stripes or dots to make it more visible. A fresh battery delivers up to 28 minutes of flight time, the best of the lot and the maximum distance of the drones listed here. Of course, the more weight added, the less flight time it gets per battery. The battery is another place the Phantom 4 excels. The Phantom 4 has a plug-and-play battery system. When one battery gets low, pull it from the slot and insert a fresh one. This is the fastest battery swap of the three drones listed here.The FLiFLi is good to 1000 meters, giving it the most distance of the three drop options listed here. Max payload for the Phantom 4 is just under a half pound. 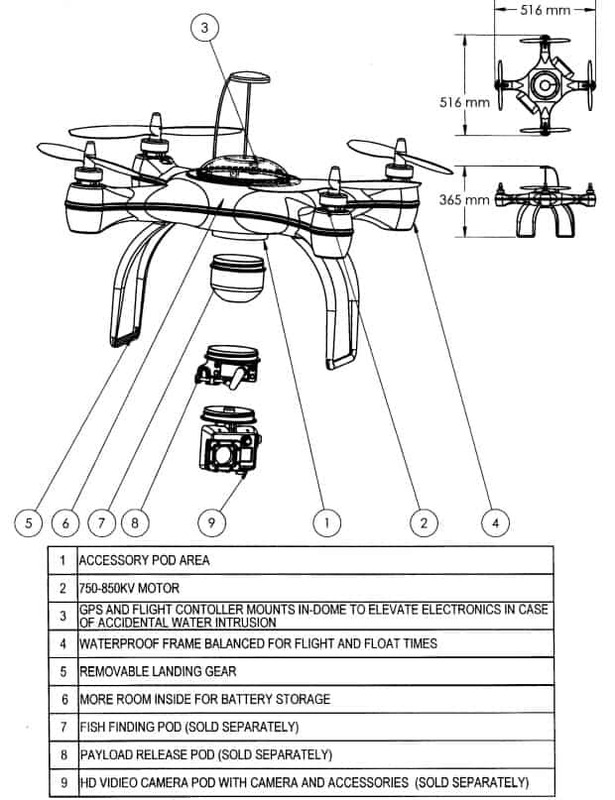 This is about one-quarter what the other two drones can carry. Unless you are fishing deep sea and deep down, the Phantom 4 can easily carry a fishing lure or bait. The Phantom 4 has the largest controller of the lot with the biggest joysticks. Converting the Phantom 4 into a fishing drone is easy enough, but the flying is best left to the experts. The Phantom 4 is less forgiving of mistakes on the water. The other two float. This one does not. Keep in mind the water surface conditions as one mistake and you could lose your DJI Phantom. This 4k camera drone is nice to have for those amazing fishing photos you might want to take. 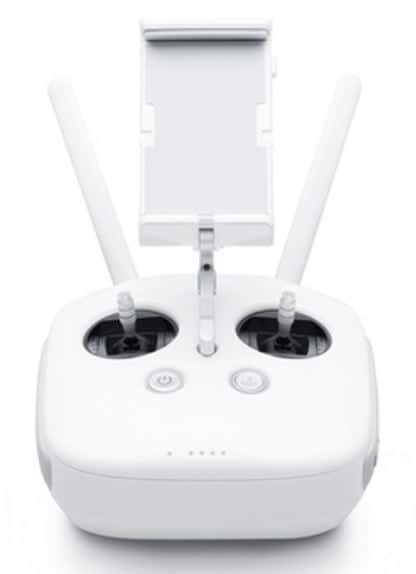 It also has other handy drone features such as obstacle avoidance, a return home function, 30 minute drone battery life, 3 axis gimbal for stable video and photos and is easy to fly. With some experience and a need to really reach out there with a lure or bait, think surf casting, this is the drone to have. What are the ​drone fishing laws? Or is it even legal? Basically as long the mainline is "attached to a release clip that allows it to seperate away from the apparatus once the fish strikes," then the catch is legal! Drone fishing is an excellent way to reach hard places and get more distance from a "cast." Drone fishing comes into its own in saltwater and on large reservoirs. They are well-suited for pond fishing, but pond fishing is much easier than on bigger waters. These are the best fishing drones on the market today. Now some sites say you can drone fish with devices such as the 3dr solo quadcopter, dji inspire, dji mavic pro, dji spark, yuneec typhoon or the dji mavic air. 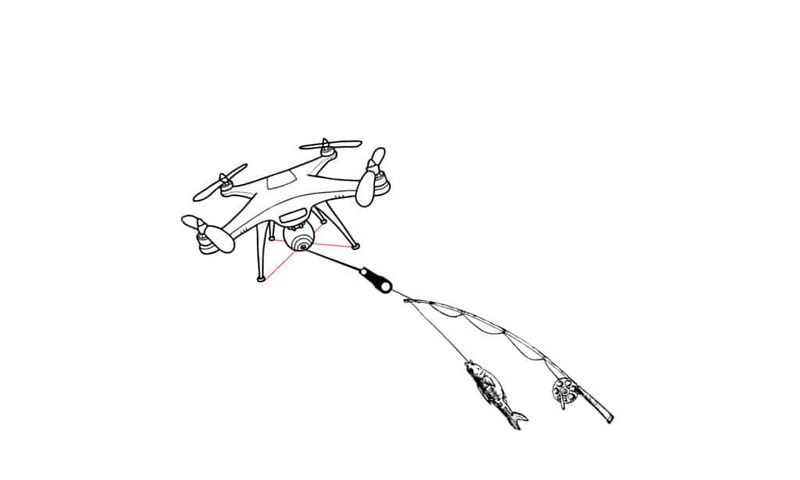 Sure you can fish the drones mentioned above, but you will need payload release mechanisms such as downrigger release clip or downrigger clip to attach to your drone. We recommend you stick with the top fishing drone mentioned in this fishing drone buyers guide. Remember to keep in mind your drones operating range, water surface conditions and be sure your lines and bait are secure when you use your drone for fishing. Even if you are the most experienced drone pilot, you could easily lose your drone if you fly the drone in an incorrect manner. Fishing accessories such as a payload release or downrigger clip can make your drone flight much easier.